Being a kindhearted but autistic individual Rohit Mehra lived a life of misery being the victim to physical, mental, and verbal abuse. However, after destiny caused him to meet Jadhu, an all powerful alien, he manifested great powers giving him peak human abilities physically and mentally, facing his challenges and overcoming them. Eventually he married the love of his life and went on to work for a Global Technological company owned by Dr. Siddhant Arya. After building a time machine, he realized Dr. Arya's plan to rule the world so he broke the time machine but was caught and imprisoned by the Doctor. His wife, thinking he was dead, died of a broken heart leaving their son orphaned having only his grandmother left. The boy had greater powers than his father and was named Krishna. After meeting a reporter whom he fell in love with, he decided to visit her in the city. Unknowingly, he showcased his powers drawing the attention of a circus performer who invited him to the circus. 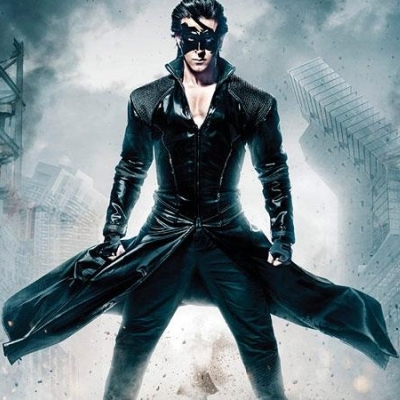 Going to the circus, there was a terrible fire and Krishna turn over his cloaked and donned a mask gaining the name Krrish to protect the innocent. He went on to find out the truth about his father and defeated Dr. Arya. He reunited the family and married the reporter. The family went on to live in the city. He went on to learn of his brother Kaal who was created from Rohit's DNA. He foiled Kaal's attempts to spread a deadly virus and gaining the soul of his father, he gained knew powers super strength, super speed, flight, super hearing etc. He could also gain new powers with a device created by his father.